Refer to the first part of this interview here and the second part here. MarcieMom: I read that herbal bath and creams are also prescribed by TCM physicians. What are the ingredients of the herbal bath & cream? Given that there is so much transparency being pushed for in labeling ingredients of skin care products, are ingredients in TCM products fully labeled? 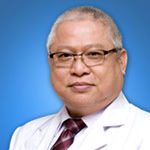 Physician Lau: In my practice at Raffles Hospital, our products are fully labeled and certified by Singapore Health Science Authority. Physician Lau: As the properties are different between the western medicine and the herbal cream, we are unable to compare. The herbal bath definitely helps in reducing the inflammation thus creating an environment for the skin to recover. Repairing of skin largely depends on the individual body’s nature. MarcieMom: Acupuncture is also a treatment option used for eczema; how does acupuncture treat eczema and is it recommended for children? Physician Lau: As mentioned previously, TCM focuses on the holistic approach where a combination of treatment of acupuncture and herbs are used. For instance, if you are suffering from eczema due to weak digestive health, TCM, be it herbs or acupuncture or both, is administered to treat the indigestion problems and subsequently, through the holistic approach, it will speed up the recovery of eczema. I will not recommend acupuncture for children. MarcieMom: Also, where are TCM medicine produced in? How can a patient check the harvesting of the herbs (whether using insecticide), the manufacturing facility (use of chemicals) and the packing facility? Physician Lau: Patients can check the manufacturer’s label to see where the medicine is produced in. It is impossible to check on the harvesting of the herbs with the looks of it. Such assessments have to undergo testing. Physician Lau: Based on the guidelines of Singapore Health Science Authority, all TCM products dispensed in Raffles Hospital are certified. MarcieMom: Thank you Physician Lau for helping us understand a little more on TCM in the treatment for eczema for the past three weeks.